Tracinda is unloading its 16.2 percent stake in MGM Resorts following the demise of its founder Kirk Kerkorian in June 2015. Kerkorian, who also founded MGM Resorts International, reportedly stated in his last will and testament that Tracinda must dispose of its stake in the U.S.-listed casino operator. In a regulatory filing, MGM announced that Tracinda is selling 10 million MGM Resorts shares to UBS, with the price of US$33.89 per share representing a discount of approximately 1 percent from the closing price of the common stock on December 4. Tracinda expects UBS to settle the transaction today (7). Tracinda, MGM Resorts’ largest single stakeholder three years ago, sold some 4 million shares of MGM Resorts to MGM China co-chairperson Pansy Ho Chiu King following the death of Kerkorian. The transaction boosted Ho’s stake in MGM Resorts by 4.8 percent. 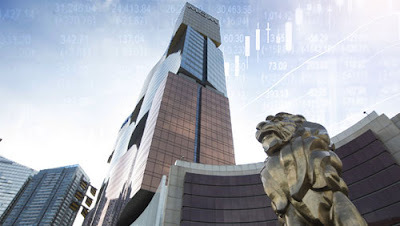 Early this year, Tracinda disclosed that it would be disposing of a quarter of its remaining MGM shares to UBS for an estimated $500 million over a period of 10 trading days.